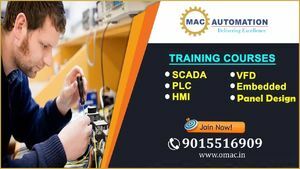 Automation training in Noida provided by Omac. Industrial automation training in noida deliver by corporate trainers with with live project, 100% placement assistance, to take your career to new heights. Call: +91- 9015516909 to free demo classes.